Even though it is still winter, I can feel the season changing and the days becoming longer. It is not dark now when I finish my morning meditation and it has only just gotten dark when we begin the group meditation sessions in the evening. This year right on the equinox when the season pivots into the warmer days I will have my higher ordination[Upasampada]. The joy and gratitude that arose in my heart in response to this possibility was unexpected. The movement of “Oh YES this is what I want to do” was so strong that it took me by surprise. Venerable Bhikkhuni Ayya Nirodha on the left. Me in the centre and Samaneri Vajira on the right who will be also have her higher ordination at the same time as I will . When I came to Adelaide I had put aside any thought of taking higher ordination. I thought that it was unlikely to be possible for me in this situation in this place. I imagined that I had set aside any wish for it. Then when the venerable Swamina Mahinda Sara Thero said to me “nun! you should take Upasampada” and my heart leapt up within my breast it really took me by surprise. I didn’t know that my heart would have that response. That was in March. Since then there have been obstacles and challenges to work with and through. The main challenge was to find a new Bhikkhuni teacher. I am so lucky that venerable Ayya Nirodha, Senior Bhikkhuni at Santi Forest Monastery in NSW has agreed to accept me as her student and take on the role of teacher [Acarini] for me. 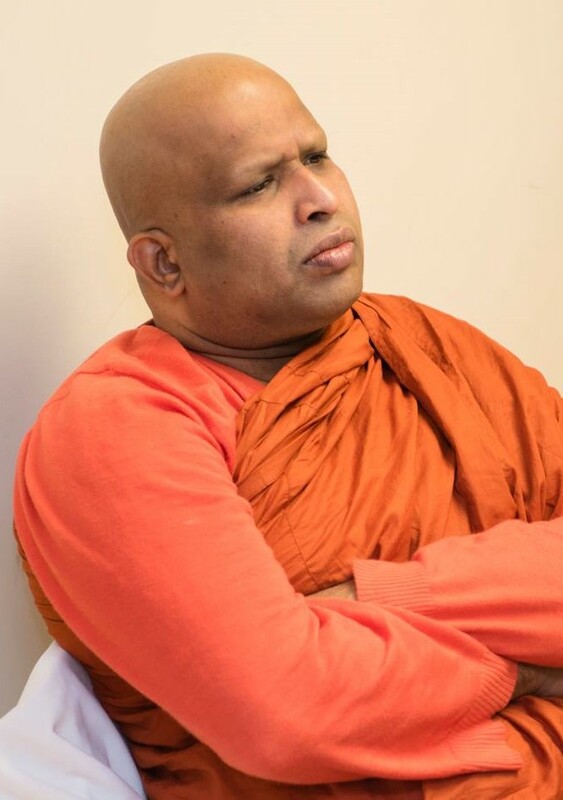 Without her agreement to take on this role, I would not have been able to get permission to ordain from my current preceptor Ayya Tathaaloka Bhikkhuni. I am very glad that this requirement was brought up because I have really been missing having a teacher since I left the USA where I had my novice ordination[pabbajja]. I am so glad to have the amazing benefit and bonus of being able to have a teacher student relationship with a senior Bhikkhuni in Australia. I know what a marvellous and beneficial thing it is to be able to have a teacher. I recall how much I learned from Ayya Tathaaloka and Ayya Sobhana in particular. As well as so much gained from being around Ayya Suvijjana, Ayya Suddhamma and the many other Bhikkhunis that I was so fortunate to be able to spend time with and learn from at Aranya Bodhi and at Dhammadharini. 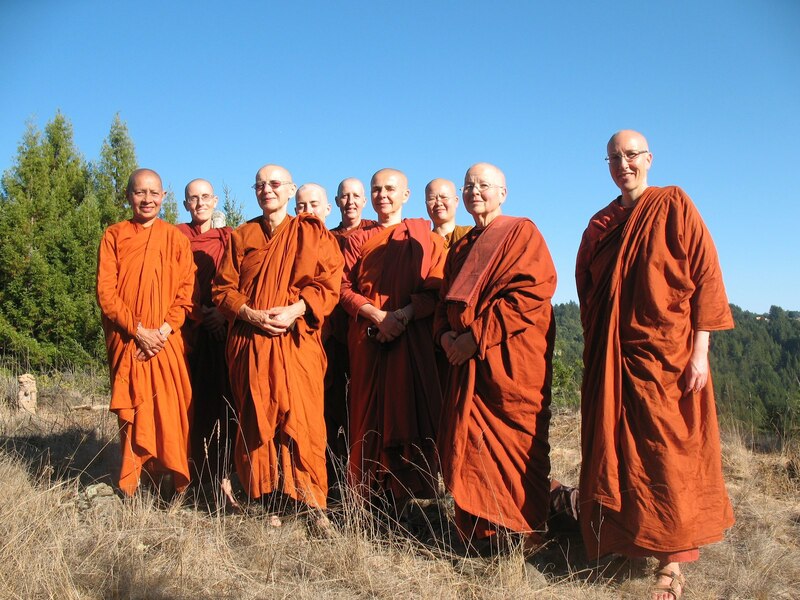 Ahh such a wealth of Bhikkhunis there in California! 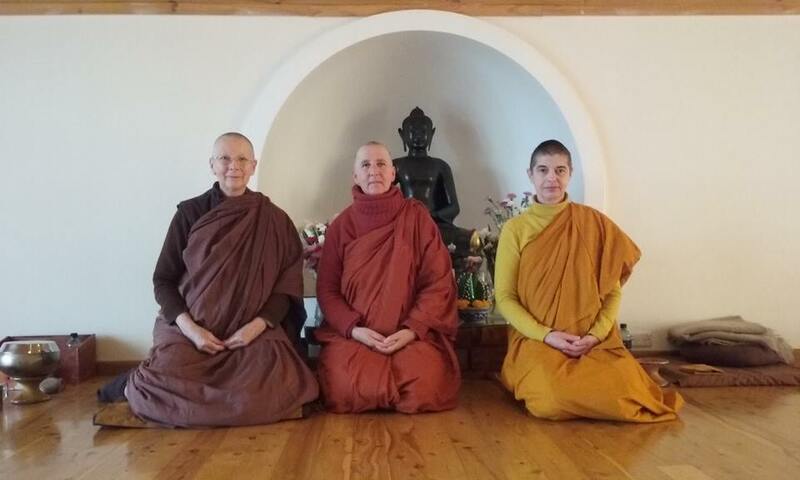 The wonderful Bhikkhunis from Aloka Vihara: Ayya Anandabodhi. Ayya Santacitta and the then Samaneri but now Bhikkhuni Ayya Jayanti. Left to right below: Ayya Sudinna, Ayya Dhammadhira, Ayya Suvijjana, Ayya Jayanti, me, Ayya Santacitta, Ayya Pasada, Ayya Sobhana and Ayya Anandabodhi. You can see me at the back in the centre with this group of Bhikkhunis at Aranya Bodhi for the Bhikkhuni Camp in 2012.